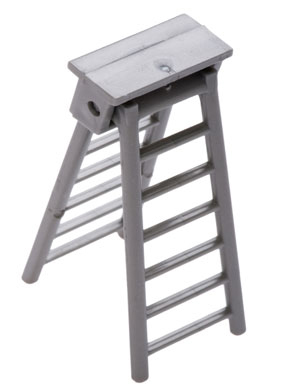 To understand risk we would like to use the analogy of a real step ladder. When working off a ladder, as you place your feet on the ladder you begin to face risk, by time you reach the top of the ladder you then face maximum risk. Investing is similar, if you keep your money invested in banks, building societies, post office and premium bonds, generally they are free of risk from that of most market forcesie: liquid cash that will not go down in value. They do carry other risks such as inflation, but in this particular example we are looking at the Stock Market Risk. Once you start moving up the ladder hoping to gain more financial returns you start to invest within different asset classes and sectors. The more money you put in to certain areas will increase the amount of risk, this will mean mainly equities and more commonly known as stocks and shares. There is zero money invested within the equity market and up to 100% invested within gilts, fixed interest, corporate bonds and cash. This is considered t be a low risk portfolio. This means that there is hslightly higher risk. 30% of the money is invested equity based, various entities from the stock market and 70% of the money in fixed interest, gilts, treasury stock and corporate Bonds etc. The middle of the ladder is called balanced. We believe that it is important to provide balance which means a 50-50 spilt, which means 50% in Equities and 50% in other asset classes. Our belief is that if you were a child on a seesaw to provide the balance you need equal weight on both sides. This should provide 70% of the money in the equity market so it does what it says on the tin, you are starting to take more risk and therefore becoming more adventurous. This has a 30% exposure to gilts and fixed interest etc. Finally the top of the ladder is high risk, where 100% of the money is invested in Equities. There are no safely nets, no cash or fixed interest or any other asset classes to help counter balance against any particular problems. This is fine as long as you are a high risk investor and you appreciate the risk you are taking. There are many balanced managed funds run by well known and well branded investment companies who call their funds balanced but have up to 90% equity exposure. We would certainly not call this balanced, but that of high risk based on the amount of Equities that are exposed. There are many companies, mainly that of high street banks and building societies that have funds called cautious managed funds, giving the investor the impression that this is cautious on the basis that they provides 30% equity exposure, however it is not uncommon to see funds invested with 50-60% equity exposure, which in our view would be a balanced investment. All will become apparent once you have your MoneyLabel™ processed on your various investments. The value of your investment can go down as well as up and you may get back less than the amount invested. Past performance is not a guide to future performance.